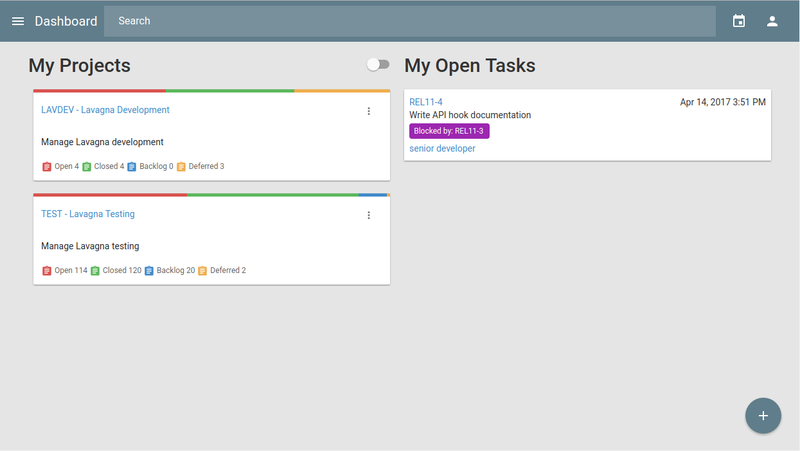 Lavagna is an open-source issue/project management tool designed for small teams. Lightweight, easy to install, easy to use. Whether in the same building or miles away, your team won't miss anything important going on with your projects. Participate in many project, with many roles, at the same time. Lavagna gives you the ability to define projects the way you want: your team, your labels, your milestones, your board. Multiple login providers: Google, Twitter, Github, LDAP, Gitlab (also on premises! ), or add your own OAuth provider. Fine grained access control: different projects, different roles. Power search: metadata and full-text search are available. 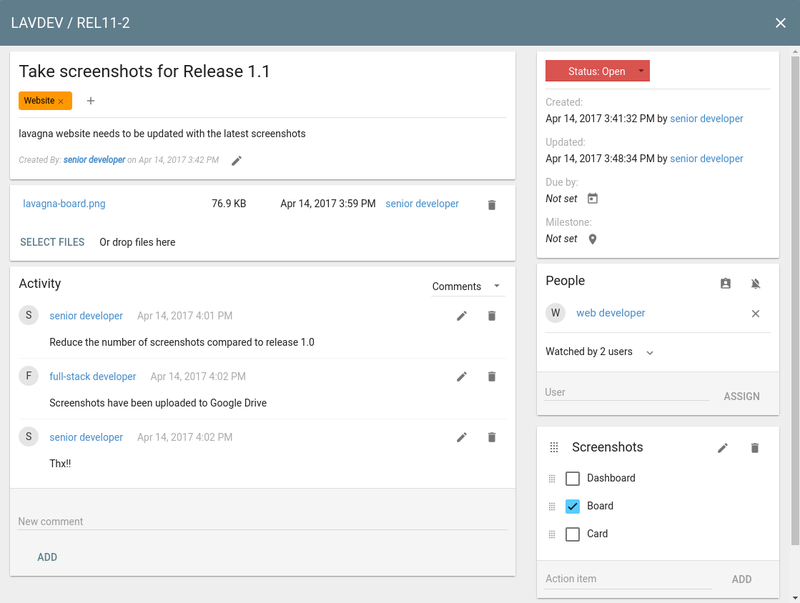 Integrations: you can add your own scripts that react on system events. 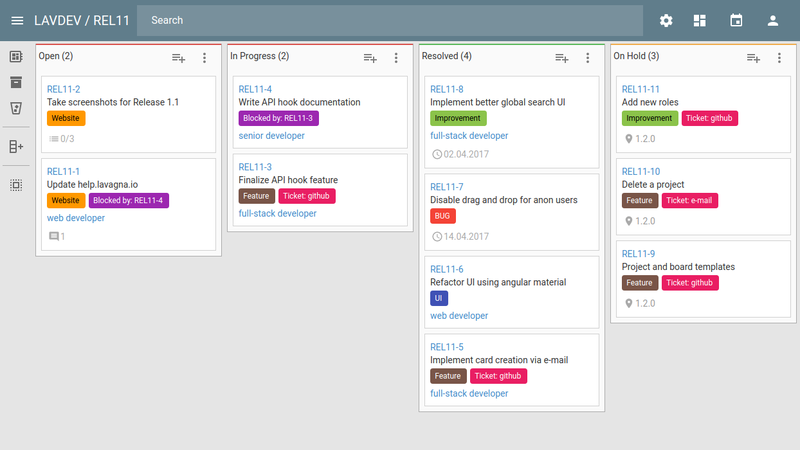 Don't fear migration: import your boards and cards from Trello. Open source: nobody likes bad surprises. With Lavagna, you can always see what's going on behind the scene.